This was one of my more unusual commissions. 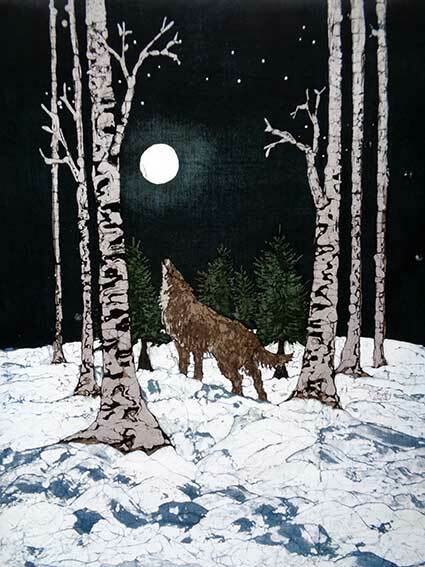 It was made for a couple living in Nova Scotia, Canada, who collect paintings of wolves howling at the moon. I used blue shading on the back of the snow to give it an extra cold feel and the patterns on the bark of the silver birch trees were created in just the way I do tabby cat markings. As with my other 'moonlight' paintings, I used a wet tissue on the cloth before applying the dark blue dye, to create the halo round the moon.